You know you've made it in the industry if you have a wax figure in Madame Tussauds. 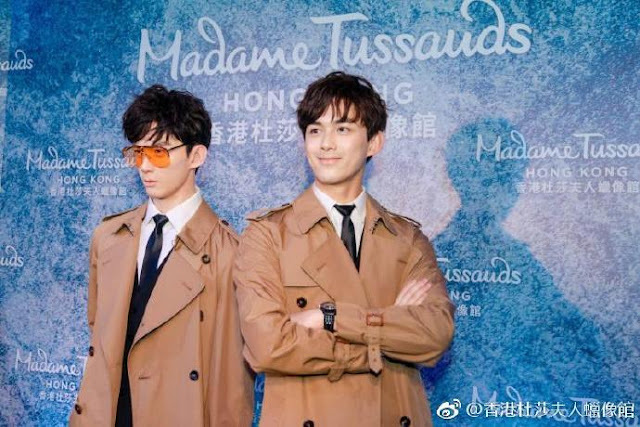 For Wu Lei whose had a longer acting career than most despite still being in his teens, he is the youngest Mainland Chinese actor to get a figure at Madame Tussauds Hong Kong museum. This makes his second one since he also left another twin in Shanghai. 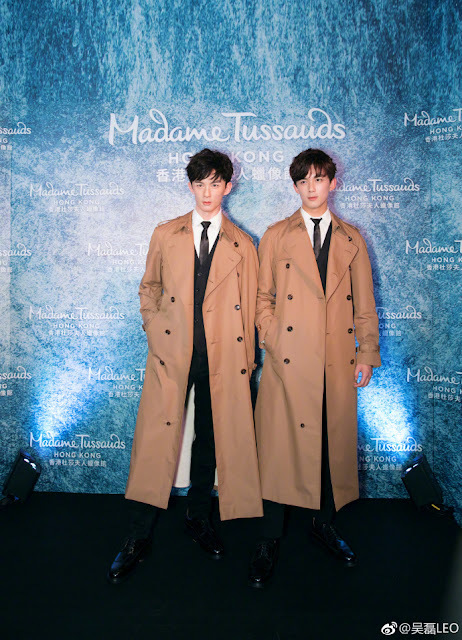 This week, Wu Lei is in the "city of life" to unveil his very own wax figure which is reflective of his 17-year-old self when he went to get his measurements taken. 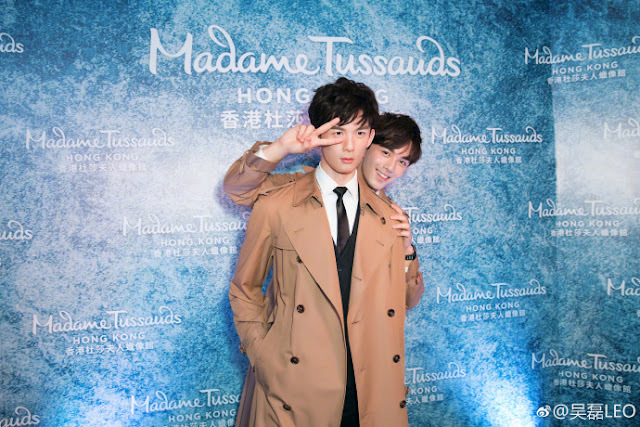 The ecstatic looking actor was all smiles and looking very dapper in this happy occasion. 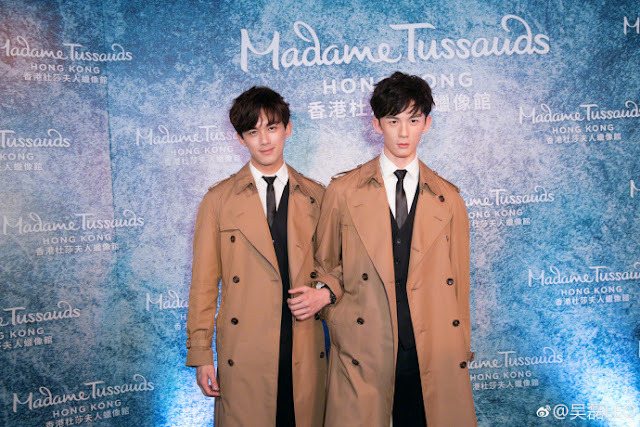 Sporting a well cut suit underneath a beige trench coat, the actor cheekily posed for pictures with his wax twin, who does look remarkably like him including his hairdo albeit the rather intense look in his eyes!